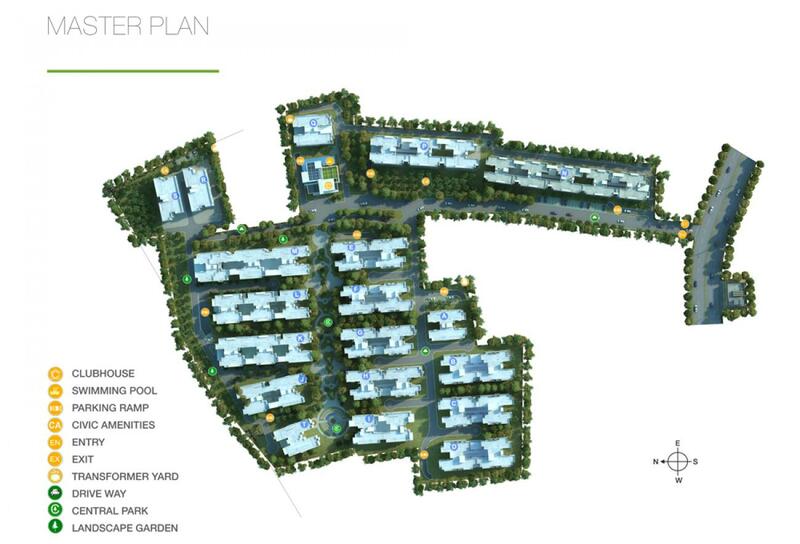 A glance at the Godrej E-City Phase 3 Site Plan of the project reveals the meticulous planning that has gone into making the premises a fully self-sufficient complex. There are provisions for enjoyment, health, recreation and relaxation within the safe compound. There is something for every age group and every taste. One can pursue hobbies and adopt a healthy lifestyle here. This includes a smart and modern club house for the residents. There is also a swimming pool for a refreshing dip. The entry and exit are well-marked with a parking ramp. The driveway is planned in an ordered fashion and lined well. There are civic amenities and a lush central park. Landscaped gardens add freshness and aesthetics.